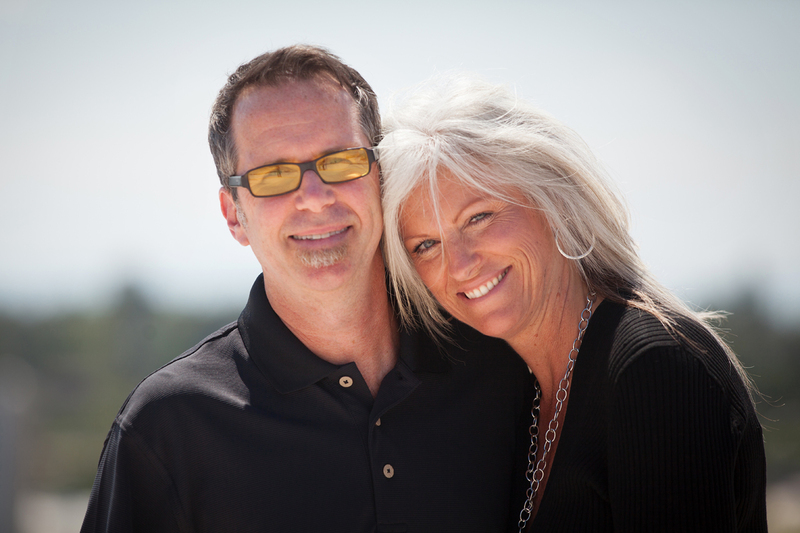 Al and Shelley Mires and their sons Alex and Jake live in Shingletown, California, a small Shasta County town just below Mount Lassen. They own a music store in nearby Palo Cedro, and Al also co-owns a coffee shop. In addition to repairing instruments and giving music lessons, Al enjoys playing his guitar. It was May 16, 2014. REACH 5, our base in Redding, received a call from Shasta Regional Medical Center regarding a patient who needed emergency esophageal repair ASAP. The crew, Pilot Pete Ortiz and Flight Nurses Terri Debruler and Gary Amundson, responded immediately. 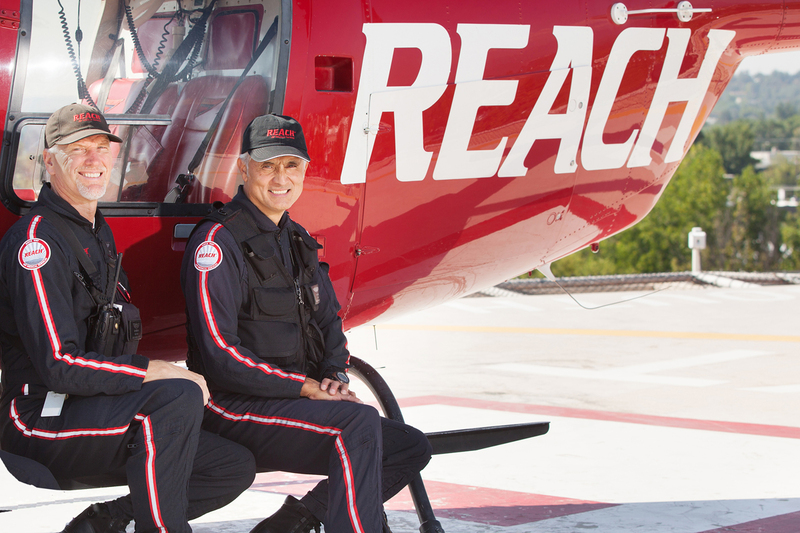 REACH Flight Nurse Gary Amundson (left) and Pilot Pete Ortiz (right). Al Mires with his wife, Shelley. After more than 30 years together, they are still smiling. The doctor’s exploration revealed that the tear had started clotting, making surgery unnecessary. Al spent four days in the hospital healing, plus another week at home, before going back to work. 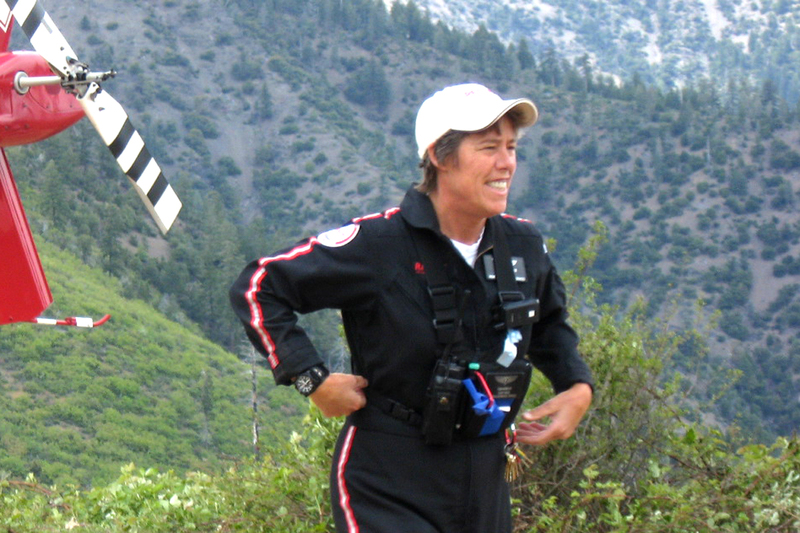 REACH Flight Nurse Terri DeBruler was ready for business. REACH wishes Al and his family all the best and wants him to know we are humbled to have helped care for him. 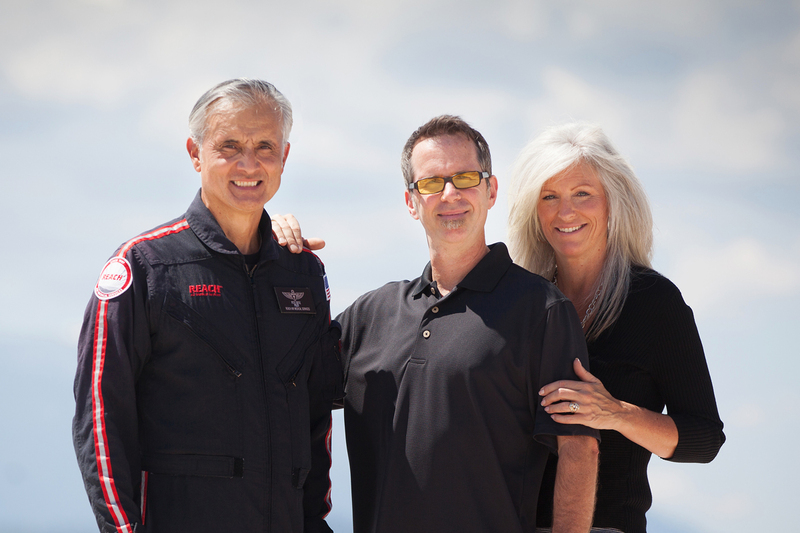 REACH Pilot Pete Ortiz (left) was happy to have an opportunity to reunite with survivor, Al, and his wife Shelley.